This is a place I visit often with my pinhole camera. There is a great sense of the seaside spirit here. Built in 1901 , Cromer would not be the same without it. 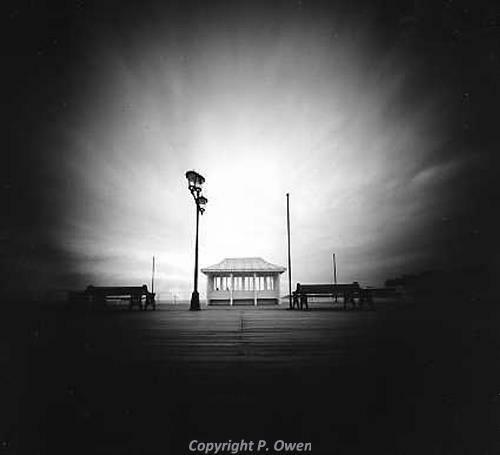 By using a pinhole camera I find I am able to capture an image that has an inherent sense of time and place. The softness that is intrinsic to pinhole photography offers the viewer more to consider and helps to slow down the perception of the photograph.